But being a street vendor here means more than just serving coffee – sellers provide a vital social service with every cup. Let’s explore Madagascar’s fascinating coffee culture. 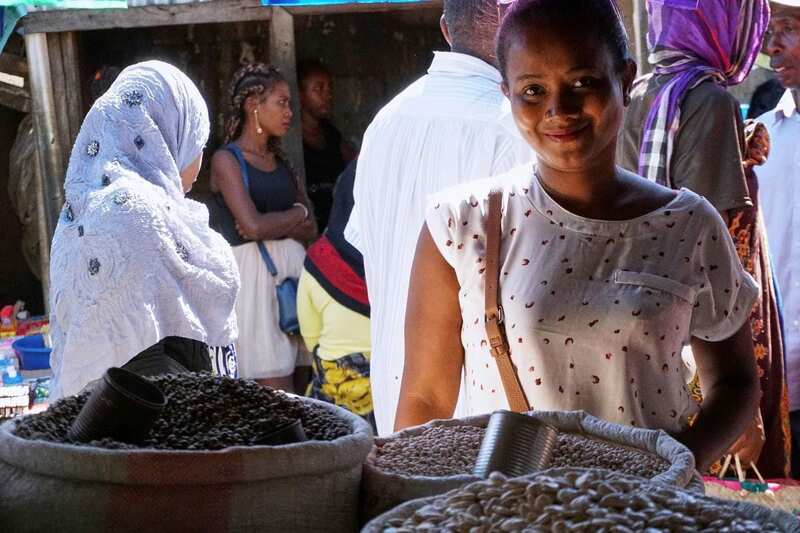 In every bustling city and small village market in Madagascar, coffee is guaranteed. Vendors set up under the shade of trees, awnings, umbrellas, or in improvised kiosks. 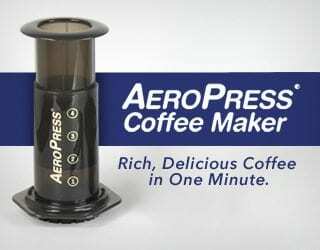 Everyone’s a coffee drinker here and there is no shortage of sellers to meet demand. Madagascar is a land of incredible landscapes and ecological biodiversity. On this island off the south east African coast, 80% of the natural species are unique to the country. 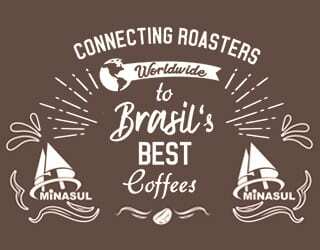 This includes wild coffee that is sometimes drank locally on a very small scale, but most of the coffee consumed here is cultivated Arabica or Robusta. 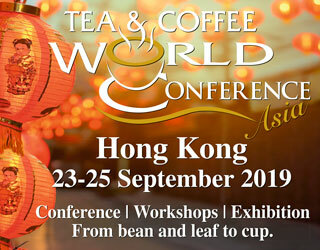 According to the vendors, some prefer TAF – a local instant coffee sold in a sachet. But the majority enjoy freshly roasted coffee served strong and piping hot and then topped off with a generous pour of condensed milk. Madagascar has a long relationship with coffee. The country was settled by Indonesian and Bornean immigrants more than 2,000 years ago. 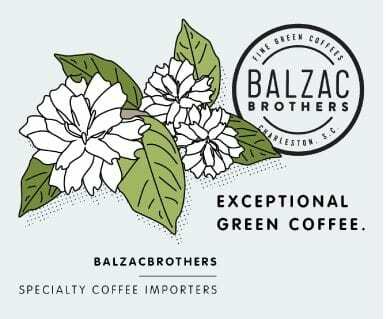 In the late 1800s, the French arrived and the cultivation of coffee stems from this period. 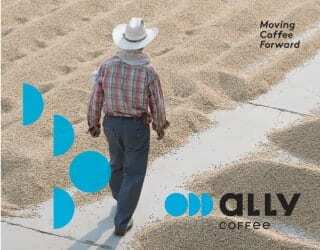 The colonists introduced agricultural reforms that turned coffee production into an industry. Alongside the coffee trees, they planted the seed of discontent that grew into revolution, independence, and the current instability and poverty still seen in Madagascar today. But for the locals, coffee is not about politics. The 24.8 million Malagasy people have an overwhelming love affair with the brew. For young and old, poor and rich, coffee is an essential part of life. 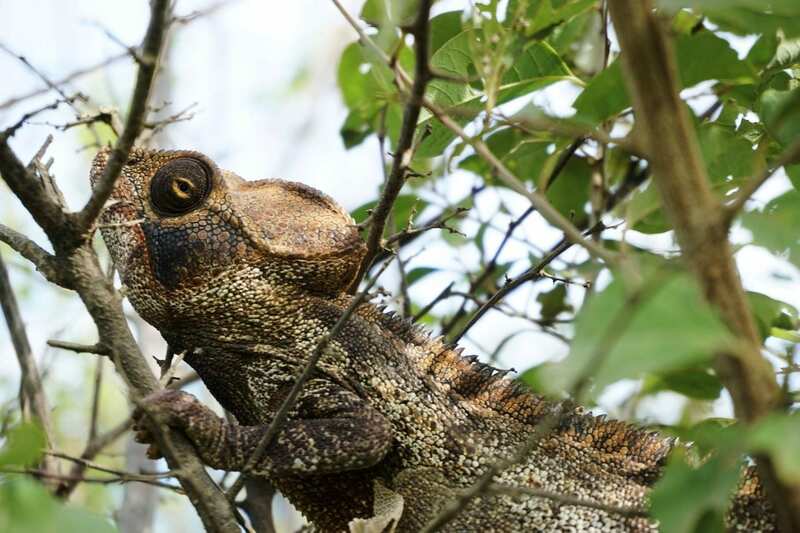 “When I visit friends’ homes, I’m handed a coffee without asking,” says Harry Rakotosalama, who has guided tourists, scientists, and writers around Madagascar since 2000. 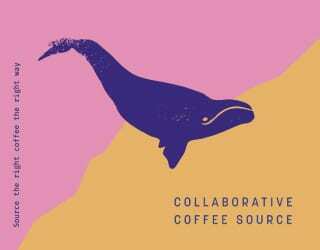 “Coffee supports social cohesion and relationships even in families. It’s ingrained in Malagasy culture,” he explains. 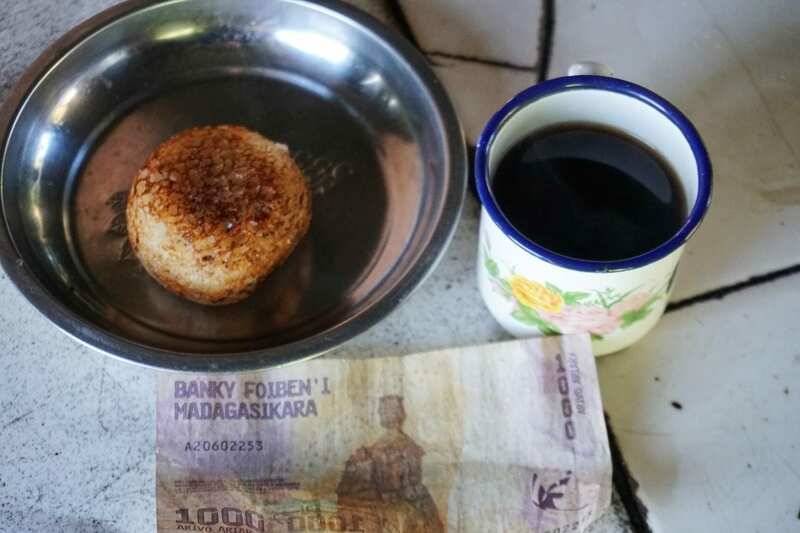 “Andao hisotro kafe, meaning ‘let’s go drink coffee,’ is how most people in Madagascar start their day,” he says. Madagascar’s economy depends on vanilla, coffee, cloves, and rice cultivation, but agriculture here is mainly subsistence farming. Small-scale farmers grow enough to feed their families with any surplus sold at local markets. But it wasn’t always this way. Independence came to the nation in 1960 and from then until the 1980s, coffee was one of Madagascar’s top exports. The industry was full of promise and potential. In fact, in this period Madagascar was the eighth-largest coffee-producing country in the world by volume. But by 2001, export production had plummeted to just 12%. Madagascar has undergone four major constitutional periods since its independence and the political instability has had a major impact on the country’s economy. 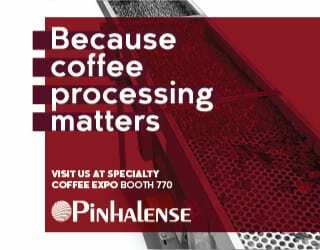 The production of green coffee has averaged only 46,000 tonnes since 2015. But although Madagascan coffee may have fallen from its international heights, the local market is more secure. 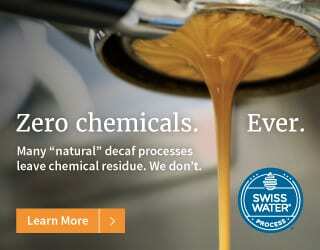 In fact, at home, coffee sustains the nation in more ways than one. 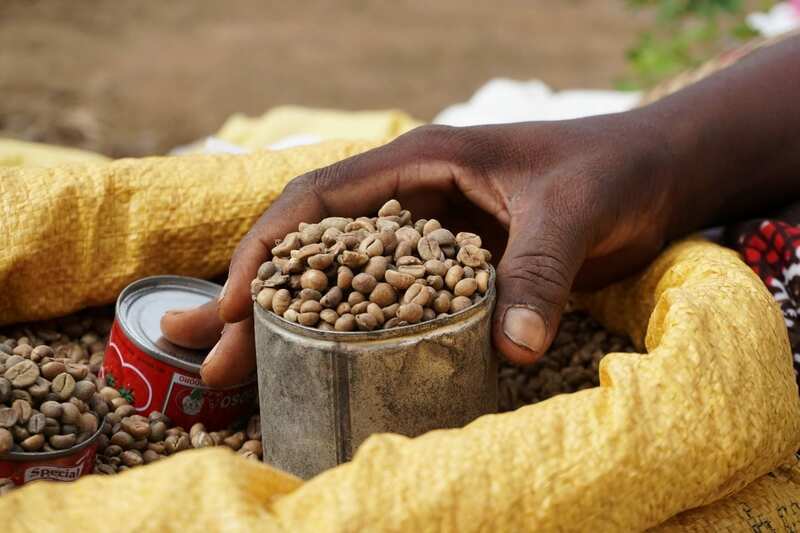 Green coffee is sold in markets across Madagascar, where it is scooped out of sacks with 390 g condensed milk cans. This universal measure costs about 3,000 Arairy (US $1). As condensed milk is a staple here, the cans are plentiful and the entire system is based on scoops. If money is short, there is also the option of a half-measure, using 170 g tomato paste cans. Brewed coffee is sold on virtually every street. 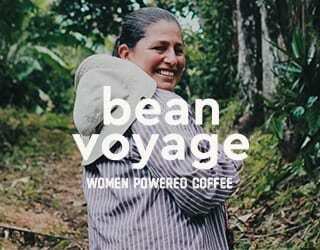 Coffee vending is a means of survival and a reliable way to generate much-needed income, especially for women. 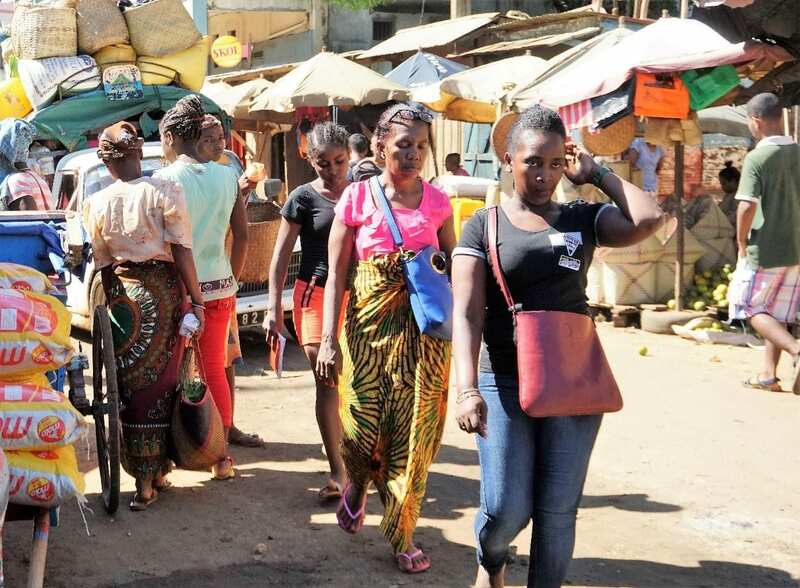 In sub-Saharan Africa, vendor activities account for 51% of all female informal workers outside of agriculture. Street sellers dominate the informal coffee market. 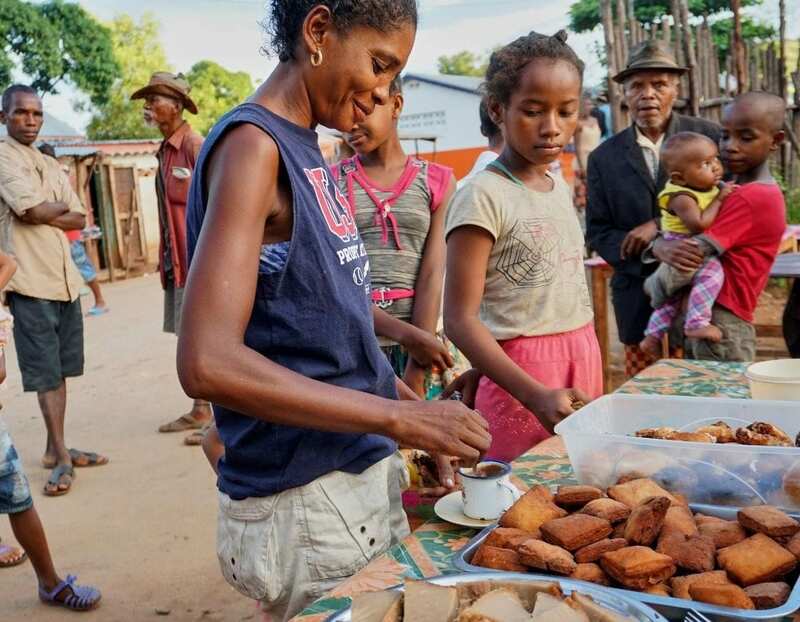 Few people in Madagascar can afford cafés and street vendors are not deterred by a lack of basic services such as running water, electricity, or shelter. Improvised stalls are on almost every street and the resourceful vendors provide an essential service. 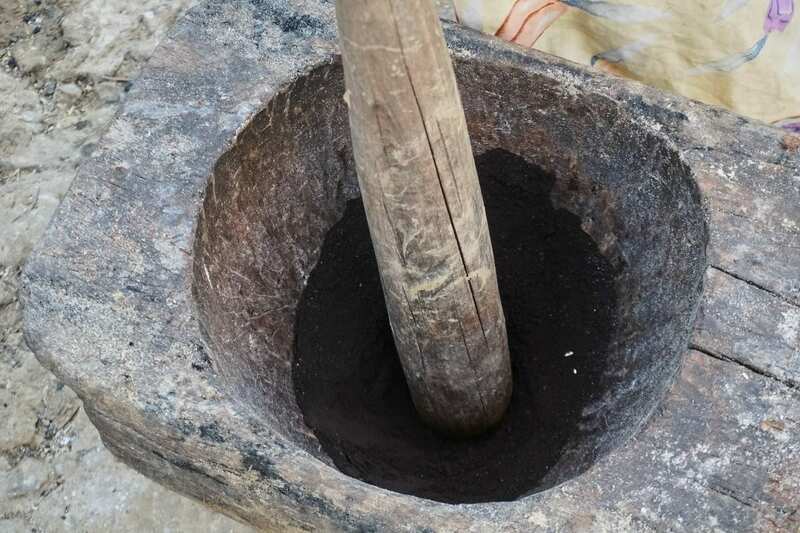 A quarter of Madagascar’s rural households lack food and access to wood and charcoal for cooking. Hot coffee and rice cakes fill empty stomachs and also save customers the cost of making food at home. Coffee fuels this nation. Nirina Moratsara has been a street coffee vendor for 15 years. Each morning, she rises before dawn to carry woven grass baskets filled with the equipment she needs to make coffee. Pots, buckets, a charcoal-fuelled stove, colourful tin cups, sugar, condensed milk, and of course, coffee. To this she adds batter for mokary (rice cakes), mofo baolina (fried doughnut balls), and menakely (ring doughnuts). Then she hurries to her usual street corner in Antsiranana. Her makeshift set-up stands in contrast to the bright hues of the restored French colonial architecture. Nirina lays out a bright blue and yellow tablecloth over a rickety wooden table and sets a bench beside it. As the sun rises, the coffee is already boiling on the charcoal stove, the rice cakes are cooking, and cups are laid out ready for the first customers. Early regulars sit on the bench and wait as Nirina fills cups with hot black coffee for 400 Ariary (US 12 cents). They pass along a tin of sweetened condensed milk that adds an extra 100 Ariary to the price but that is used by all without exception. 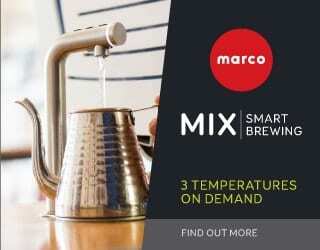 Some customers skilfully pour their coffee from cup to cup or into a saucer to cool it. As soon as the rice cakes are off the stove, they’re quickly dunked into a hot cup and gobbled up. 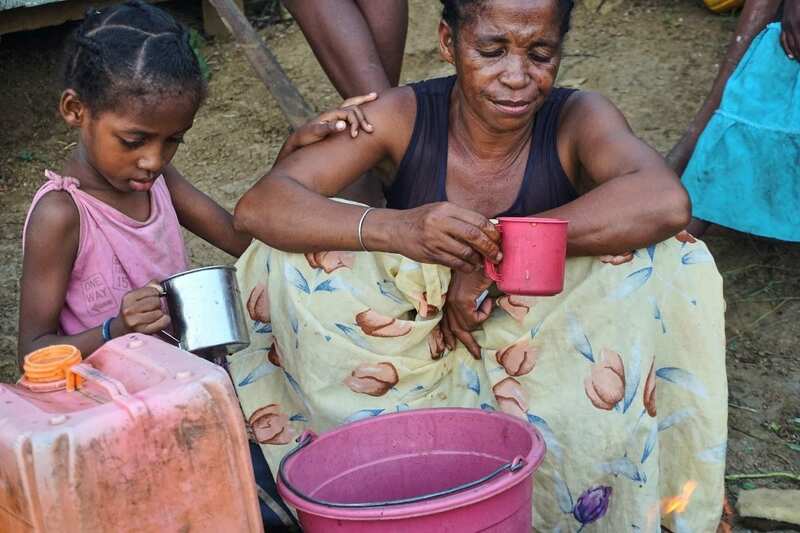 Nirina’s six-year old daughter washes the coffee cups in a bucket near her mother. 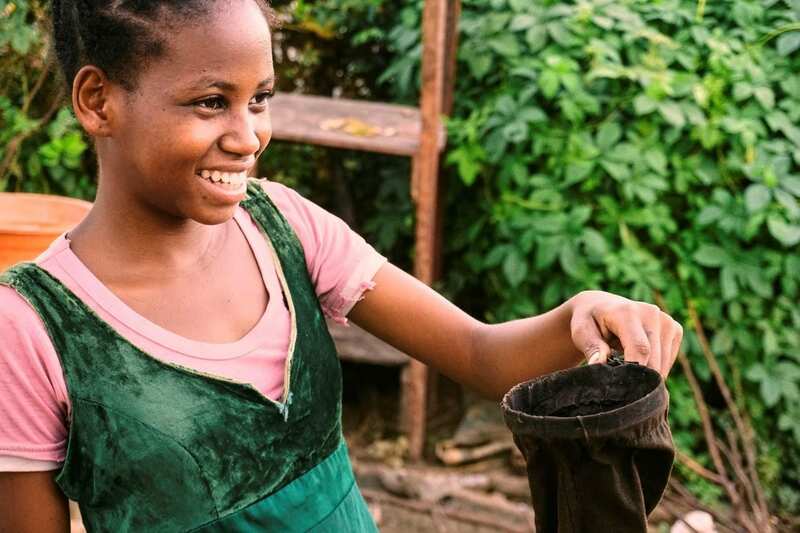 “She is very clever and should be in school but I cannot afford to send her,” Nirina laments. Only two of her six children go to school, and that is not unusual. More than 40% of Madagascar’s population is aged 14 or below, yet the country has one of the highest number of unschooled children. The political instability has caused public budget cuts, loss of household revenue, and an increase in basic food prices. The combination makes it difficult for poor families to afford education and many communities have no schools to offer. 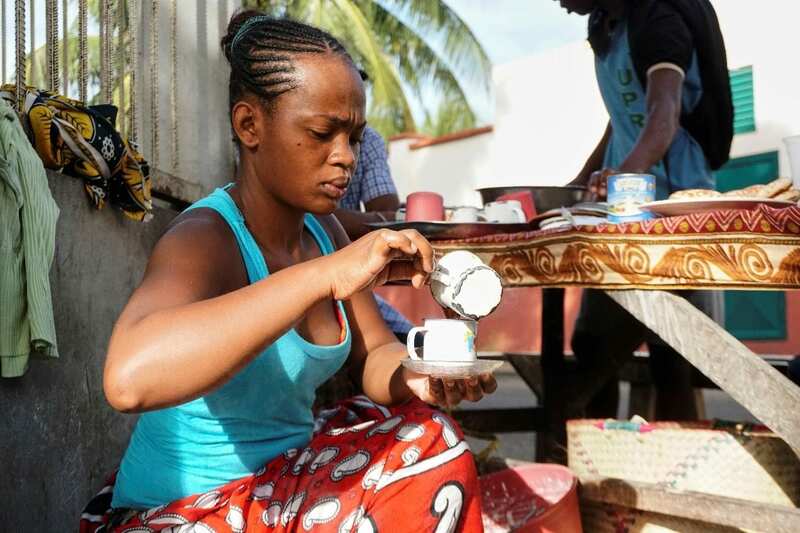 As a coffee vendor Nirina must invest the cost of ingredients, fuel, and her labour, as well as the start-up costs of her equipment. 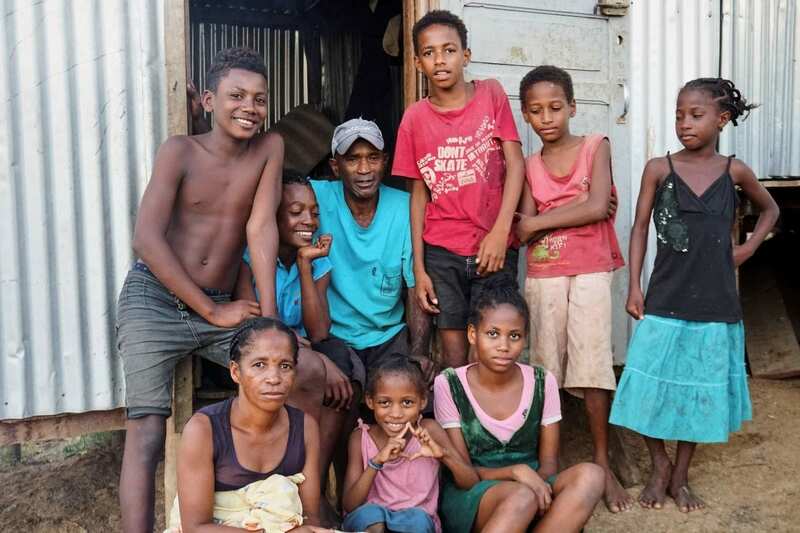 She struggles to earn more than the global poverty level of US $2.50 a day and says she cannot afford the 120,000 Ariary (US $40) a year for each of her children’s school supplies. By 10 am, the morning coffee sales are over and Nirina packs up. 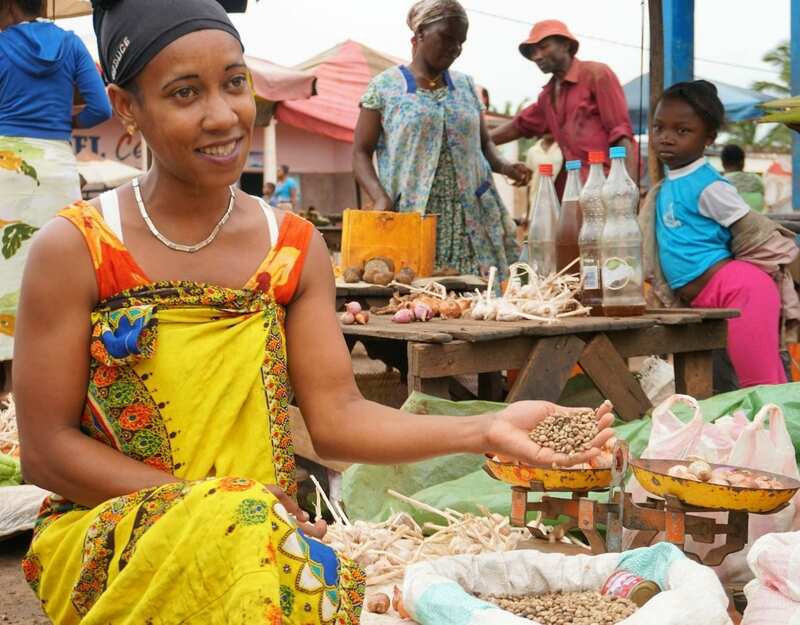 She walks 2 km to the market to buy supplies for the next day, including green coffee beans. 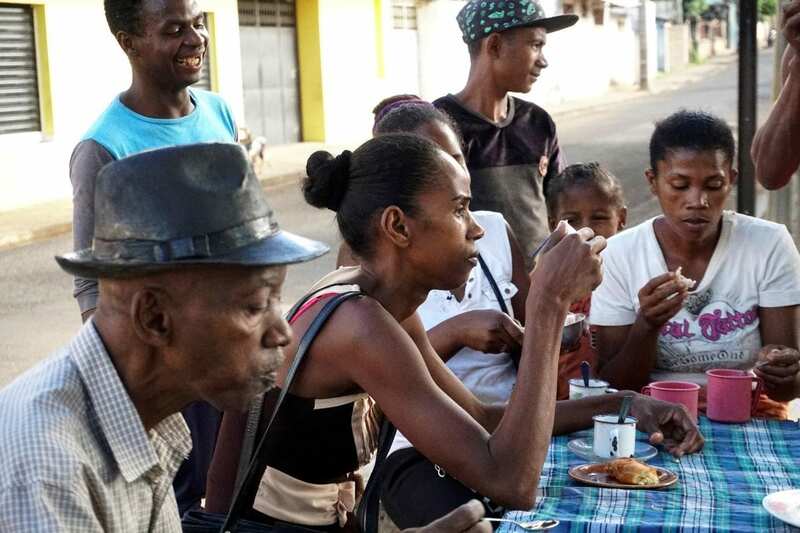 The Rehotiry family has been selling coffee at the bustling Antsiranana market for over 20 years. Hasina Rehotiry sells to street vendors and others by the scoop from his 50 kg sack of green beans. The family also has bigger orders with other coffee traders across the district. Once a week, Hasina travels 140 km to Ambilobe to buy green coffee beans. He catches a taxi-brousse, which can be anything from a pick-up truck, a minibus, or an ancient car. People sit inside and packages are piled on the roof. He pays the taxi-brousse an additional 5,000 Ariary per sack of coffee. 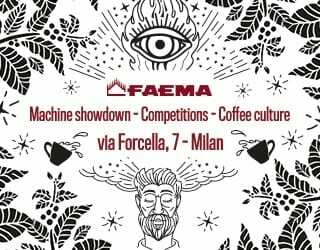 Running a stall in the competitive coffee market is a challenge. “Coffee is not enough. We have to sell beans and pulses as well to make enough money to send our five children to school,” Hasina tells me. Selling coffee each morning is only part of Nirina’s workload. After buying green beans from Hasina, she needs to prepare them. 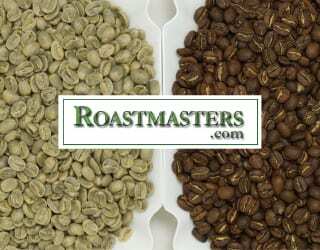 “I roast coffee at four in the afternoon, before the sun goes. It is cooler at this time of the day. It takes me one hour to prepare the coffee,” she says. Nirina and her family live in a two-bedroom metal house. The style is increasingly popular thanks to cheap materials that are easily available from China. Over a wood fire outside of her house, she empties that day’s 490 g of green beans into a large pan, stirring continuously. It takes almost 15 minutes for second crack to happen. Madagascans likes their coffee dark. She cools the roasted beans and then grinds the coffee using a mortar and pestle. 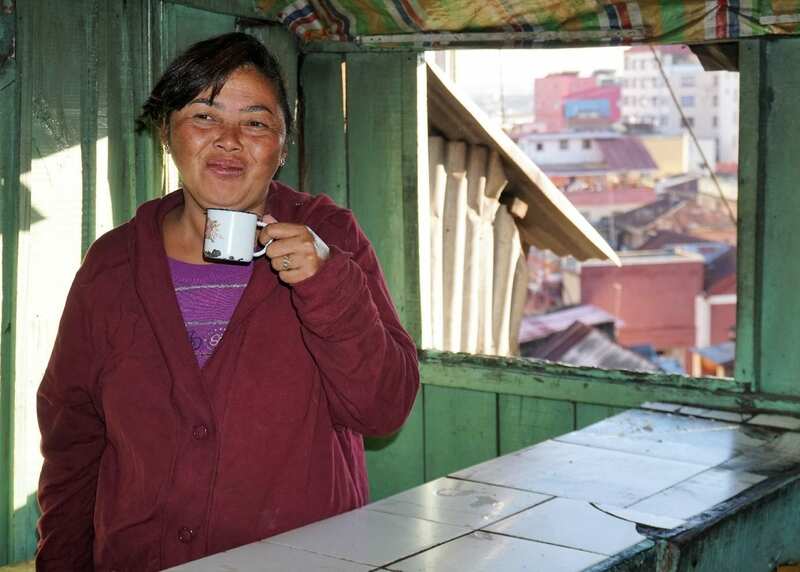 The process is physically demanding – none of the children are strong enough to manage the heavy wooden pole – but after 25 minutes she is pleased to have a finely ground coffee. After grinding, it’s time to brew the coffee. Nirina heaps four tablespoons of the freshly ground coffee into a cloth filter. She pours boiling water over the grounds in a circular motion. She patiently waits for the coffee to brew and drip into a bucket before pouring the filtered coffee into an aluminium pot to bring to boil. Her yard fills with a delicious aroma. It takes almost an hour to prepare coffee to this point, and then Nirina sits with her children to taste the coffee. “My coffee never has any grounds at the bottom of the cup,” she says proudly. She tells me that she learned how to make good coffee and the details of the trade from her mother. The sun is setting as Nirina pours her coffee into a plastic container to carry to the market the next day. It has been another long day. She rubs her legs, which ache from standing for hours, and confides in me that she is worried about her physical health. 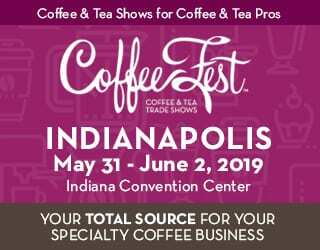 To stay competitive in this coffee-loving culture, vendors must deliver an exceptional cup – hot, strong, and intense – as well as rice cakes and other snacks. In a country with such high levels of poverty, customers won’t pay for anything less than excellent. The margins are tight, but if they can maintain customer numbers, vendors end up with a net income of US $1–2 for an exhausting day’s work. I visited a father-daughter coffee stall on a vacant block of land in Ankarafantsika village, 450 km north of the capital Antananarivo. The father proudly refers to their stall as Dadani Julia, named after his 12-year-old daughter, Julia. Julia helps out before school. She serves the coffee, takes the money, and washes cups. It is a vibrant and busy stall with a non-stop flow of customers. For their efforts, the family makes 20,000–35,000 Ariary (US $10) per day. 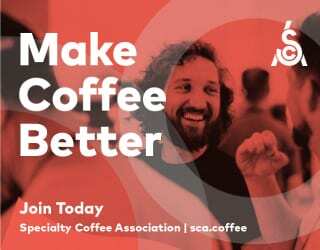 Selling coffee is a demanding and competitive job with a poor return. Many vendors don’t earn enough to provide for their children’s education. They usually have little access to healthcare, electricity, a healthy diet, or quality housing. But despite its hardships, coffee vendors hold a proud position in their community. 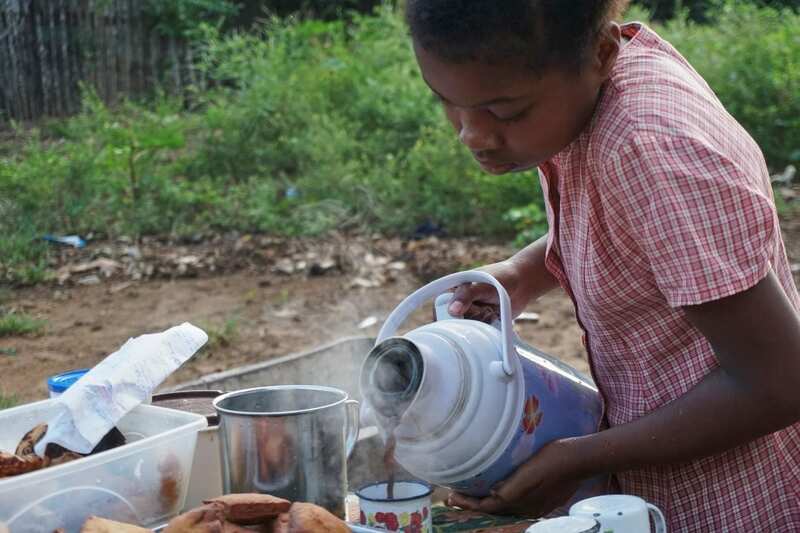 They deliver the lifeblood of Madagascar – hot delicious coffee that sustains the nation. Written by Nicole Motteux with input by Lilani Goonesena and image editing by Angie Lázaro. With thanks to interpreter and guide Mr. Harry Rakotosalam.